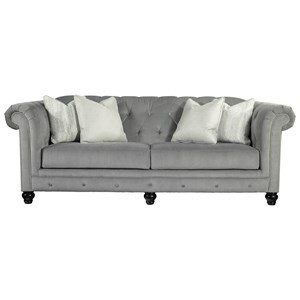 This living room sofa will help you to create a formal, classic look in your home. It has exposed wood accents across the base rail and the arm faces. 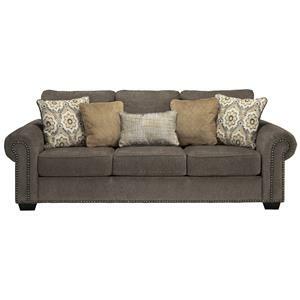 The seat cushions are designed with a classic box style and contrast the arm, rail and back upholstery. 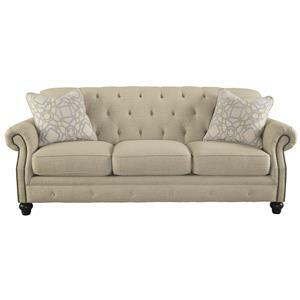 This sofa will help you to create a beautiful, traditional looking living room display. 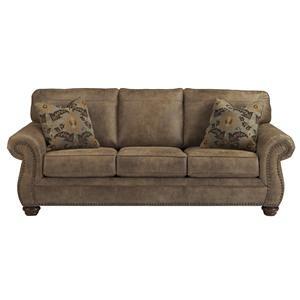 The 5850 Sofa with Exposed Wood in Classic Style by American Furniture at Beck's Furniture in the Sacramento, Rancho Cordova, Roseville, California area. Product availability may vary. Contact us for the most current availability on this product. This living room collection will help you to create a formal, traditional style in your home. 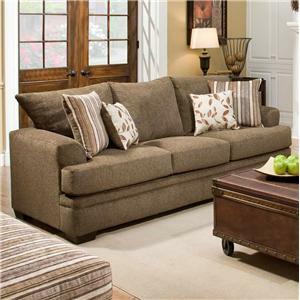 It features beautifully designed furniture pieces with exposed wood and a contrast upholstery covering. 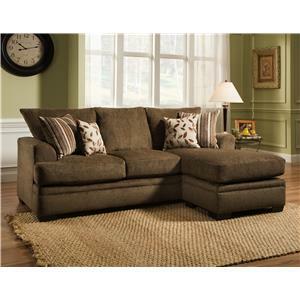 Box style seat cushions offer additional traditional elegance with a welt cord trim accent around each cushion. 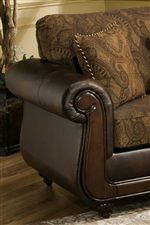 The front of the sofa and loveseat are enhanced further by the addition of wooden trim across the base rail and arm faces. Each item in this collection is complete with decorative wooden feet. 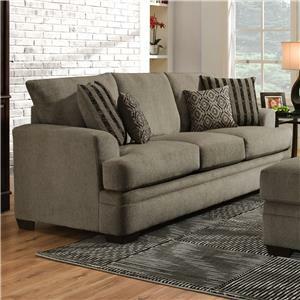 The 5850 collection is a great option if you are looking for Traditional furniture in the Sacramento, Rancho Cordova, Roseville, California area. 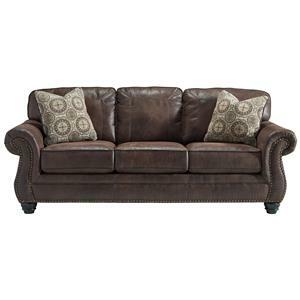 Browse other items in the 5850 collection from Beck's Furniture in the Sacramento, Rancho Cordova, Roseville, California area.